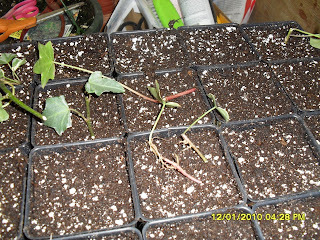 Edaville's over, back to the greenhouses! 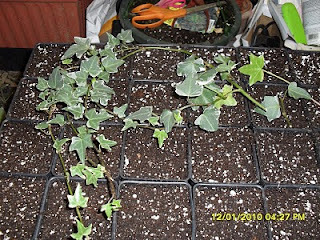 This is what I've been doing this week... See all this ivy? It has grown kinda long and it's time to take cuttings. I cut those long parts into little pieces. 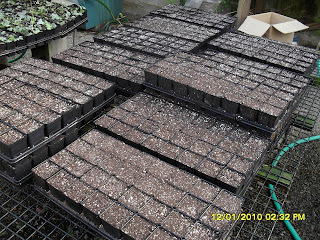 Here's a tray half done...We need 200 trays. Look - Ivy, Ivy, and more Ivy! Slink on over to Cate's place to see more of Six Word Saturday! 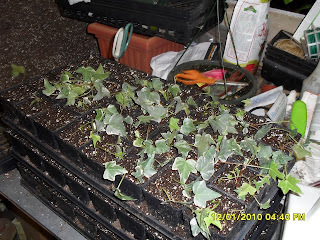 Oh my word, that is a LOT of ivy! What are ya gonna DO with all that ivy? 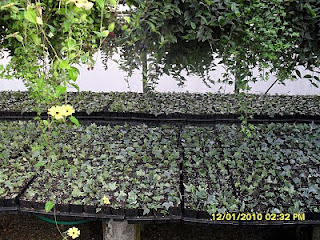 Are you an ivy SUPPLIER? (lol... that makes you sound like a drug dealer or something!) 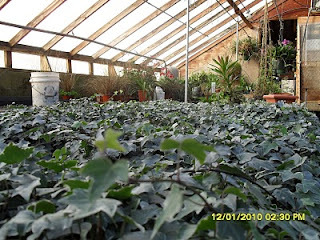 250,000 ivy plants is a LOT of plants. My neighbors planted a bunch of ivy about 15 years ago with hopes that it would take over the strip of grass along their driveway so they wouldn't have to mow it. It didn't. (they didn't take care of it properly) It only grew around the trees they also planted ... and UP the trees... but it did not spread out and cover the grass. So now they have to mow around it! (only usually they dont) This is right in front of MY house. Ivy is beautiful when it's well tended. Not so much when it's not. That's enough ivy to take over the world! Happy New Year, New England Bloggers! Our 1-year anniversary is coming up Jan 27. To mark the occasion I am going to put up a Mr. Linky on the evening of Mon, Jan 25. If you'd like to write a post about living in NE, your favorite places to visit, NE authors or books, whatever interests you. I'd also like a little idea of # of participants, if you could just send me a reply. I apologize if you are getting this twice. Many people haven't given me emails so I have to leave it in the comments.